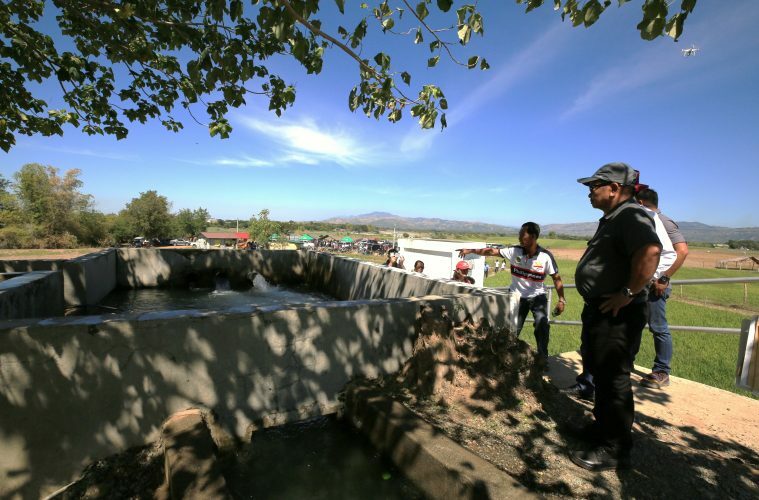 A Solar-Powered Irrigation System (SPIS) was recently made available to the Caridad Norte and Sur Irrigators’ Association in Llanera, Nueva Ecija last February 7. The Llanera SPIS, worth P7.2 million, is powered by 140 solar modules that generate 30 to 50 horsepower (hp). It also has a capacity output of 1,280 to 2,000 cubic meters per day with a pump flow rate of at least 241 3/hour. The irrigation system can be operated for a maximum of nine hours a day. Department of Agriculture Secretary Manny Piñol led the ceremonial turnover of the irrigation system and emphasized its aim to improve the productivity of rice farms in the area. In order to minimize production cost, Piñol recommended the installation of additional solar panels to provide irrigation to more areas. Aside from the SPIS, the DA Secretary also allotted a loaning assistance worth P5 Million for Caridad Norte and Sur farmers. Two units of mini tractors and one combined harvester were also given to the irrigators’ association.